One Eternal Day: That "men might perceive the glory"
.... We first met in 1953, in an obscure little private hotel, unattractive wicker furniture in its parlor, where Eliot was staying in Edinburgh before the first performance of The Confidential Clerk. I called upon him because he had persuaded Faber & Faber, of which firm he had been a director for many years, to publish the London edition of a fat book of mine, and because I had been asked to criticize The Confidential Clerk in the pages of The Month. 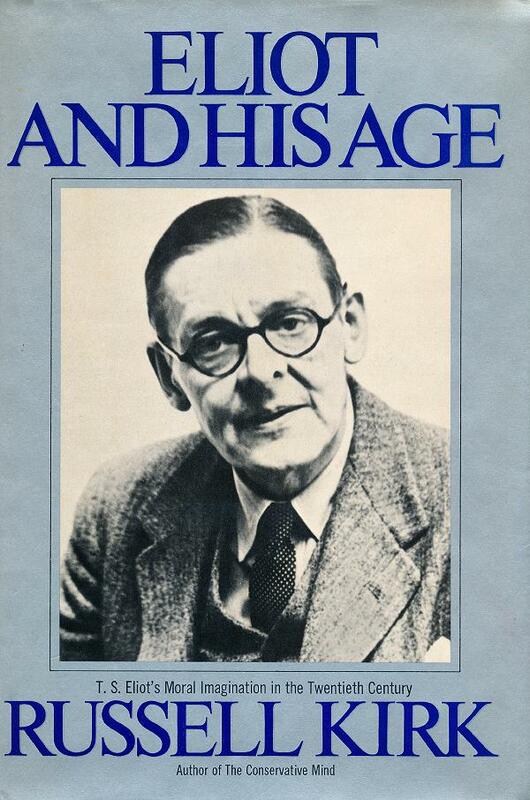 ...Eliot knew a concern that (at least by 1953, when we met) he had ceased to feel for himself. For five decades, from Prufrock and Other Observations to the essays that were published after his death, Eliot labored to renew the wardrobe of a moral imagination, that generation might link with generation—and that, beyond the boredom and the horror, men might perceive the glory. It is the power of moral imagination that will give long life to Eliot's work. And some fifty-five years after "The Love Song of J. Alfred Prufrock" was published, tardy discursive judgment needs to be rendered. So I propose to examine Eliot's chief endeavors, and to touch now and again upon the work of his allies or of his adversaries. If we apprehend Eliot—who is not easy to plumb—we apprehend the intellectual and moral struggles of our time.